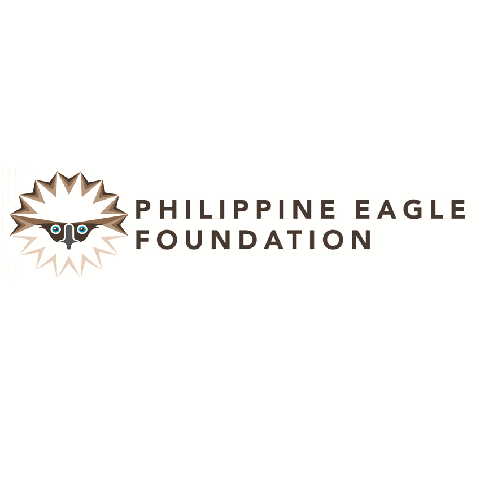 The Philippine Eagle Foundation (PEF) is committed in promoting the survival of the Philippine Eagle, the biodiversity it represents and the sustainable use of forest resources for the good of future generations. The Philippine Eagle Foundation (PEF) focuses on the recovery of the dwindling Philippine Eagle (Pithecophaga jeffreyi) population and habitats while ensuring sustainable use of forest resources. The PEF is well-recognised for its accomplishments in the conservation of the Philippine Eagle which it achieves through science-based programs and people-oriented strategies. Its comprehensive approach to conservation involves research, community-based efforts and public education. PEF’s Philippine Eagle Center (PEC) is an 8.4-hectare area located at the foothills of Mt. Apo in Malagos, Baguio District, Davao City and situated within the Malagos Watershed. The PEC operates as a conservation breeding facility for the Philippine Eagle and other birds of prey. The center also holds a few Philippine Eagles in exhibit for education purposes. Despite laws protecting the Philippine Eagle against these activities, shooting and trapping still remain the main short-term threats the species faces. Often, these amazing birds are killed without provocation. At least one Philippine Eagle is killed every year due to shooting, affecting the chances of survival of the estimated 400 pairs remaining in the wild. Widespread deforestation in the region due to illegal logging and irresponsible resource use has resulted in disappearance of the Philippine Eagle’s forest habitat. The Philippine Eagle relies on it to obtain food, reproduce and nourish offspring. The continued loss of the forest habitat is a serious long-term threat to the survival of the species. PEF’s conservation breeding programme seeks to increase the species’ population in the wild by breeding rehabilitated birds in captivity. So far, the PEF has produced 25 captive-bred Philippine Eagles which will be either released into the wild or kept in the PEC for breeding purposes. The program also involves giving aid to injured Philippine Eagles recovered from the wild. PEF focuses on natural breeding and pairing of Philippine Eagles whenever possible but also employs cooperative artificial insemination whenever necessary. Other than supporting reproduction of the Philippine Eagles, the PEF also helps to incubate, foster and hand-rear the chicks. The research team also responds to the retrieval and rescue of wildlife captured by locals. Research projects are currently continuing and are centered on Minadanao, Luzon and Leyte. PEF has initiated and collaborated in several conservation projects that either target the conservation of the Philippine Eagle itself or its important forest habitat. These projects include reconnecting forest fragments, habitat management and protection, watershed management and much more. The PEF’s conservation education program targets urban and rural communities in order to develop public awareness and understanding of wildlife conservation issues. The PEF provides venues and develops materials for many different services that each engage different communities. The Conservation Education team regularly facilitates tours around the PEC, field trips, school visits, and public exhibits. An Advocacy and Extension Services team also works closely with local government units, schools and communities in areas where the eagles occur.